When George Eastman introduced his Kodak camera to the public in 1888, it was literally just a box with 100-exposure film wound up inside. 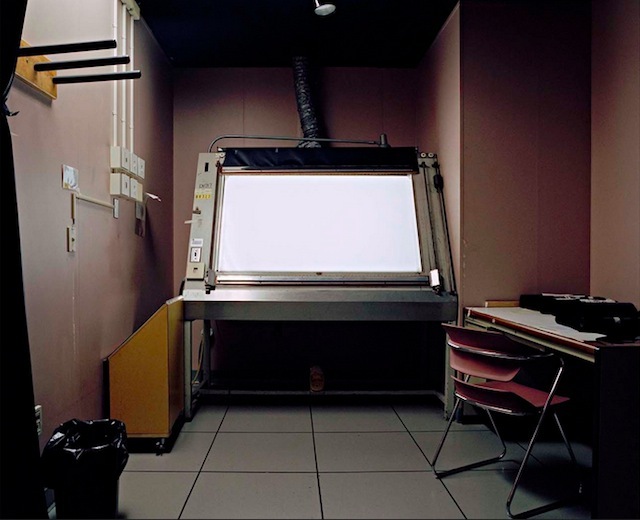 Once shutterbugs finished the roll, they had to send the entire camera back to Eastman’s Rochester, New York, factory for the film to be processed and the camera reloaded. 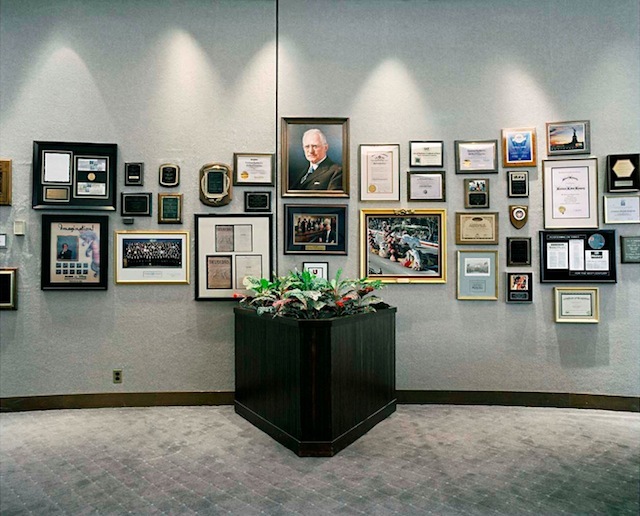 By the late 1990s, the thriving upstate headquarters had become a $31 billion business, employing 60,000 people in Rochester alone. 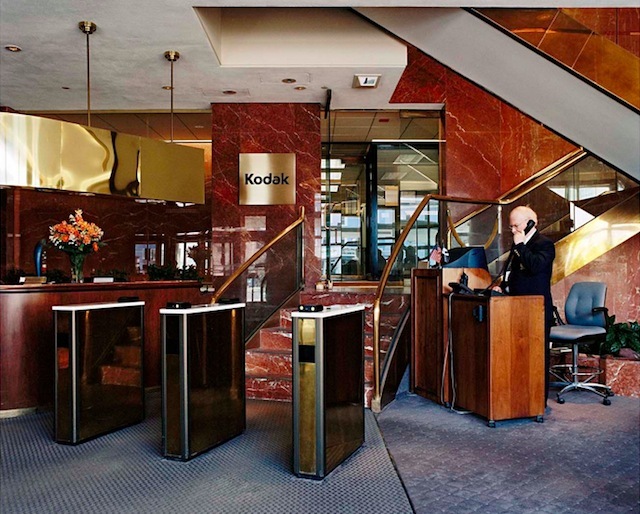 On Kodak’s payroll, people made a life: they raised their children, married them off, and spoiled their grandchildren. That all changed in 2012 when, unable to keep up with the digital revolution, the 131-year-old company filed for bankruptcy. 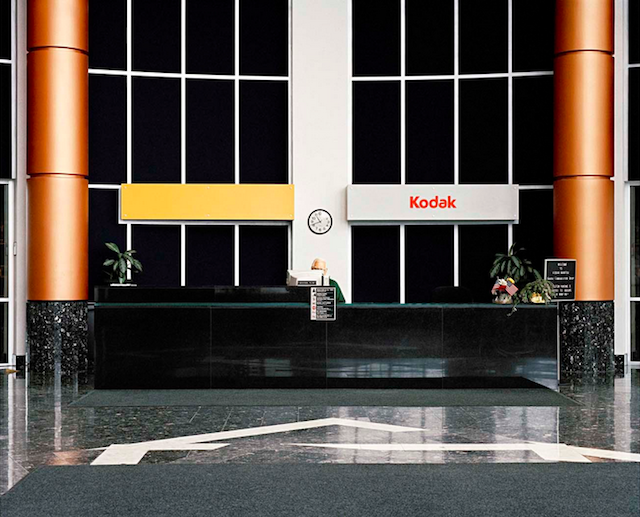 In her series Kodak City, Catherine Leutenegger documents the photographic giant’s now-dilapidated headquarters using the same medium that Kodak made accessible to millions around the world. There is one telling shot of the cracked, barren employee parking lot, looking something like a deserted college campus over the holidays. We see a lobby, all gold chrome and marble, that doesn’t appear to have been updated for decades. 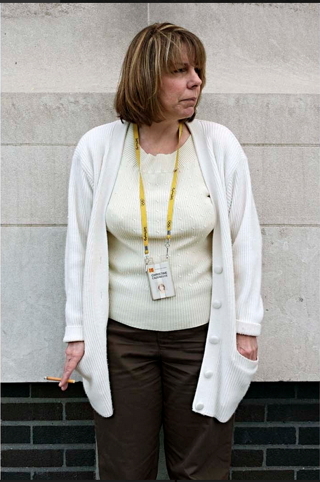 In one photo, a middle-aged employee leans against a wall on a smoke break, one hand shoved into her white cardigan pocket. She looks bored and anxious, as if she hasn’t talked to anyone all day — not like someone working at what was once one of America’s most magical companies. 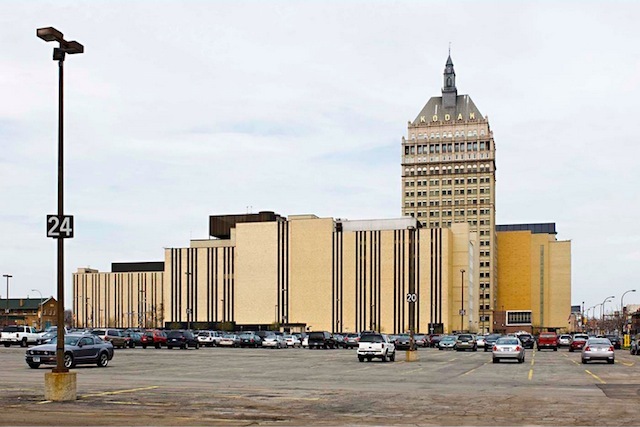 Leutenegger’s series tells a story about industrialization, wealth, and decay: only 6,400 employees now work for Kodak, which has since sold the Rochester property and begun renting out office space from the new owner. It shows how you can spend your life building up a glittering empire that another generation will destroy. And even though photographs may preserve a bit of that glamorous past, these images are mournful reminders that time knows no loyalty. We are guaranteed nothing but the present.